No matter how unequivocal the scientific evidence is that climate is changing and human activity is a central factor, nearly 7 billion people loosely represented by a few hundred governments are agreed on nothing. We know the reasons why action on climate is frozen: emerging countries such as China, India and Brazil will not accept limits that stifle their rapid emergence; developed countries such as the United States and the European Union can’t or won’t subsidize efforts abroad; and the U.S. federal government can’t even agree on binding limits for America itself. While everyone shares the sentiment that they do not want to destroy the earth or ruin it for their grandchildren, there is no consensus on how to shift global economic activity in a more sustainable direction. That should be cause for despair, and much of the commentary this week will likely conclude that we are on an inexorable and negative path towards deleterious climate change. But that is only because we collectively focus too much on government and its failings rather than on business and its successes. For many in the self-identified community that identifies climate change as humanity’s greatest challenge, big business is seen as an obstacle to a better future. That attitude is a legacy of the 1970s, when the green movement ranked big business as a culprit that couldn’t be redeemed but might be coerced. Today, however, global businesses aren’t being pulled kicking and screaming to innovate and become more sustainable: they are racing ahead of government and may in the end be the one real hope for the future. They aren’t doing so because management has gone green or awoken to some moral environmental imperative. They’ve done so because of the current imperatives of the market: with the price of raw materials skyrocketing in the face of China rapid industrialization and economic growth in the affluent world flat-lining, companies have ample new markets but no real pricing power. In short, they can sell, but any rising input costs they have to absorb. That is a powerful spur to use less stuff, to become more efficient, and to embrace sustainable growth. My recent book Sustainable Excellence (co-authored with Aron Cramer) charts just how companies are doing that. They are too numerous to list, and range from behemoths such as Walmart (yes, Walmart – which has aggressively pushed for more sustainable products), Unilever, Nike, Marks & Spencer, Nestle, and Shell to newer less familiar companies such as Better Place (which is trying to redefine transportation), Masdar (which is building a carbon-neutral city in the deserts of Arabia), Schneider (which is at the forefront of meters and energy efficiency), ICICI Bank (an Indian financial power that is addressing rural poverty), and hundreds of others. They are addressing consumer needs and recasting global supply chains, and doing so in a way that reduces their costs and thus, their carbon footprint. They are doing so largely in spite of government inaction and inconsistency. And they show no signs of reducing their efforts after the financial crisis of the past two years. If anything, that crisis led to redoubled efforts to use less stuff and enhance efficiency. 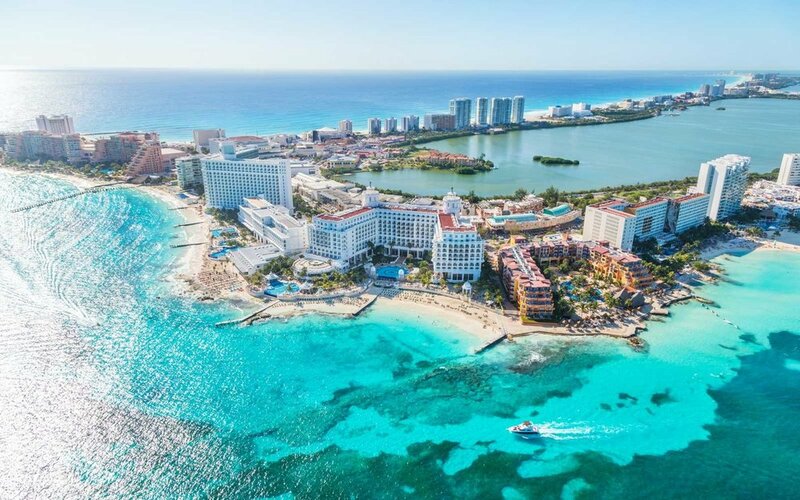 And so while there will be hand wringing and consternation at what Cancun will not achieve, that should be placed against a backdrop of incredible dynamism in corporate land, driven not by idealism but by the urgency of the market. Costs of everything raw are spiking; that includes food, fertilizer, iron ore, copper, rare earths, oil, and even coal in China. And with costs soaring, innovation is as well. It would be lovely if governments were to find concord, and better for the world. But it won’t happen in the coming weeks, and it may not need to. Humanity has always been in tug-of-war between the ability to destroy life and the inexorable capacity to save it and create it. We don’t know which force will win in the future. But we are here now, and that says something about which has come out on top so far.